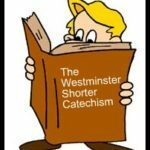 Daily Christian quotes to direct, inspire, encourage, and help ordinary Christians in the rough and tumble of their daily lives! Q. 42. What is the sum of the ten commandments? A. 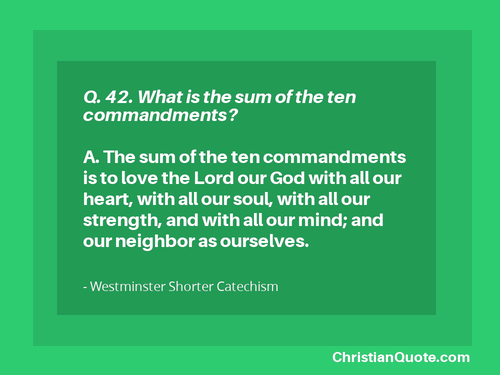 The sum of the ten commandments is to love the Lord our God with all our heart, with all our soul, with all our strength, and with all our mind; and our neighbor as ourselves. Q. 41. Where is the moral law summarily comprehended? A. 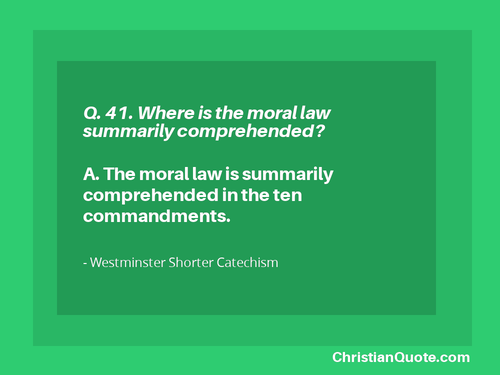 The moral law is summarily comprehended in the ten commandments. Q. 40. 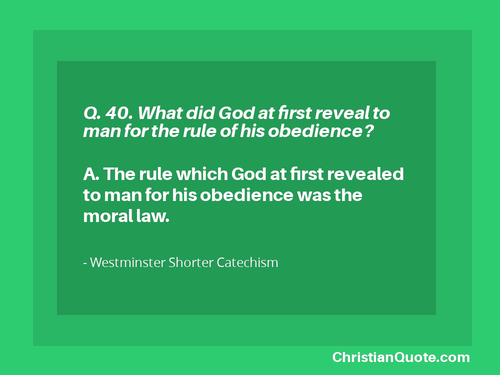 What did God at first reveal to man for the rule of his obedience? A. The rule which God at first revealed to man for his obedience was the moral law. Q. 39. 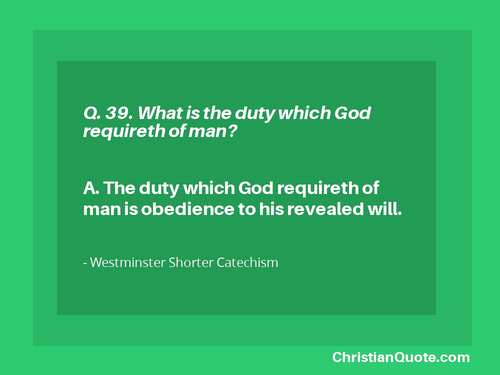 What is the duty which God requireth of man? A. The duty which God requireth of man is obedience to his revealed will.